“Backyard Macros” by Carolyn Derstine was Announced the Winning Exhibit by Professional Macro Photographer and Judge, Mike Moats. 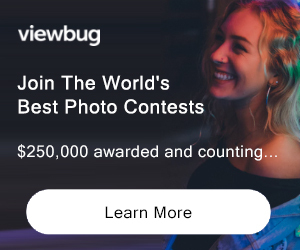 Tamron USA announced the winner of the Tamron USA My Macro Exhibit Photo Contest. 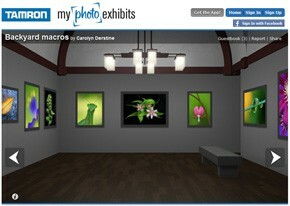 The contest, offered to Tamron lens users, required that entrants create a 3D virtual exhibit on www.MyPhotoExhibits.com showcasing at least 8-14 images. The winning exhibit would be based upon overall quality and originality of the collection. Professional photographer and My Macro Exhibit Photo Contest Judge, Mike Moats selected “Backyard Macros” created by Carolyn Derstine as the winner. Carolyn Derstine will have her exhibit featured on the Tamron website, eNewsletter, Facebook Page (www.facebook.com/TamronLensesUSA) and will win a Tamron lens of her choice. To view the winning exhibit, please visit: . Moats also selected 10 Honorable Mentions listed at .